$64.95 ea. $59.95 ea. $54.95 ea. 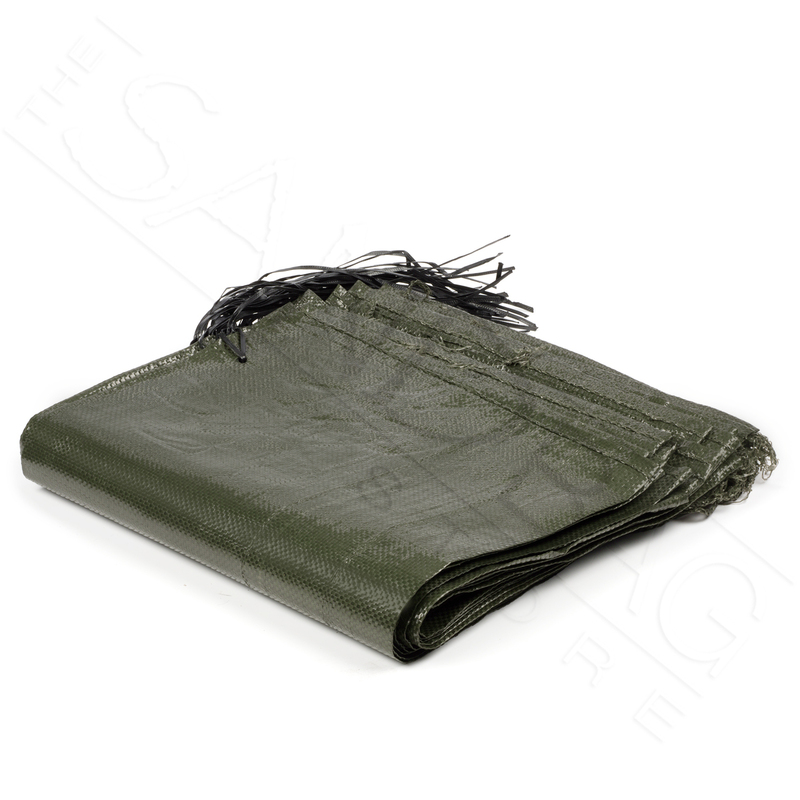 These famous HD Sandbags are incredibly durable and now last even longer under the sun! Contractor Grade Units Built to Last. 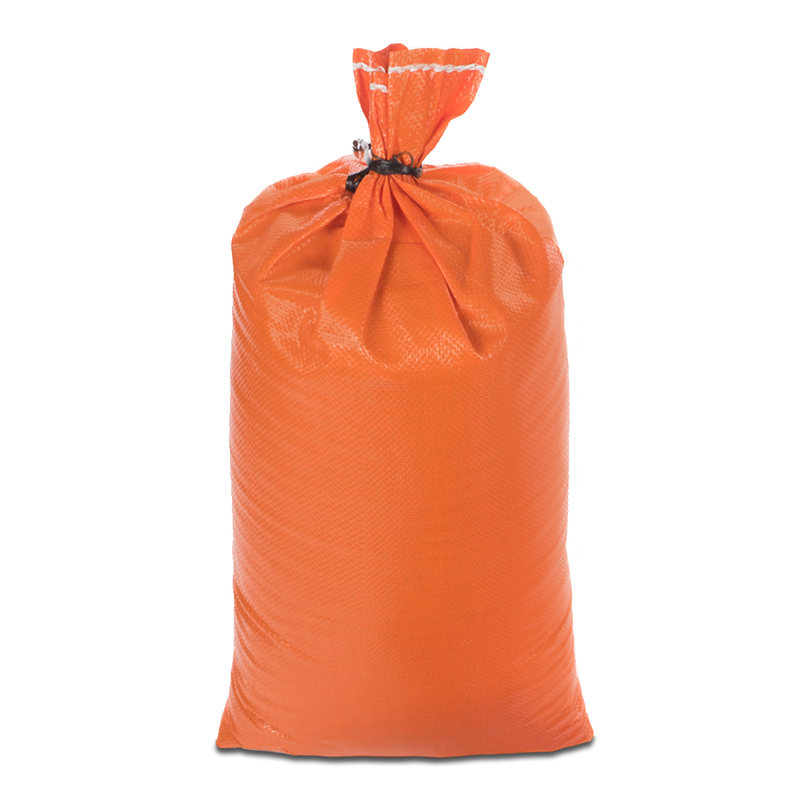 Our super duty poly sandbags redefine sandbag durability with impressive 2 year lifespan and thick, puncture-resistant fabric design. 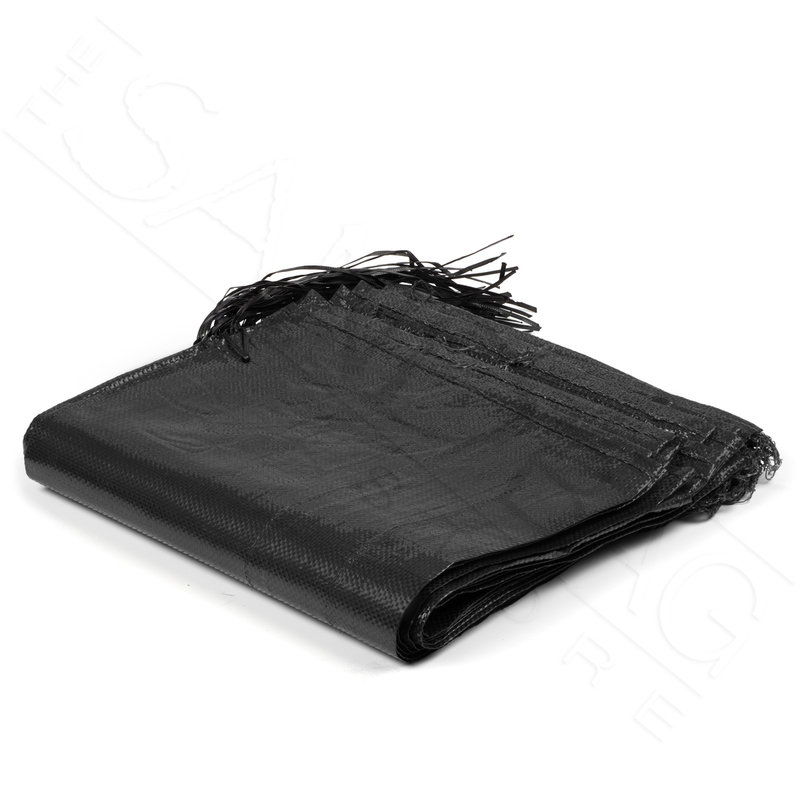 Each bag has a 50 lb capacity and strong tie cords attached for closing. 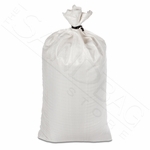 Tired of replacing cheap sandbags? Look no further! • Dimensions: 14.5" x 26"
Easy to Fill. 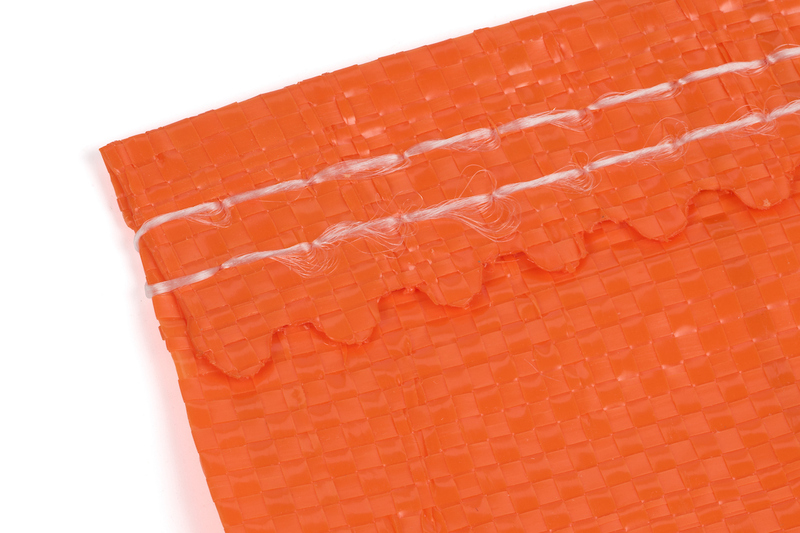 Hemmed tops and a rigid 1480D fabric make the filling process of these units incredibly easy. 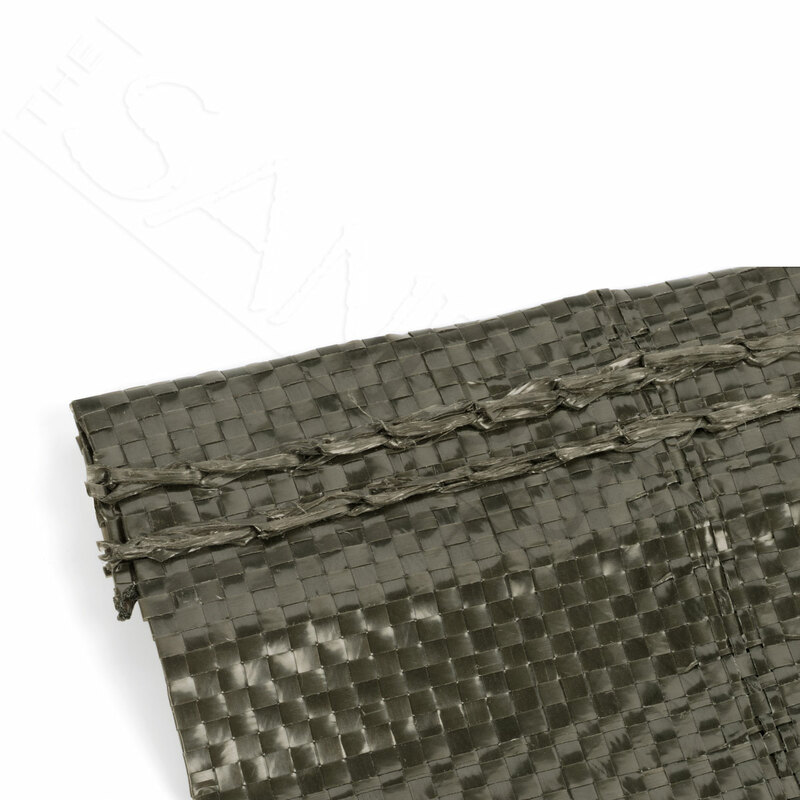 The fabric we use in our HD Poly Sandbags is a remarkable 2.5x thicker than the traditional polypropylene seen in contractor sandbags, making for unbeatable resistance against all punctures, tears and wear. Now Available Pre-Filled. 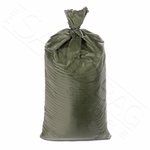 These great sandbags can now be ordered pre-filled by 3,000 & 4,000 lb pallets! 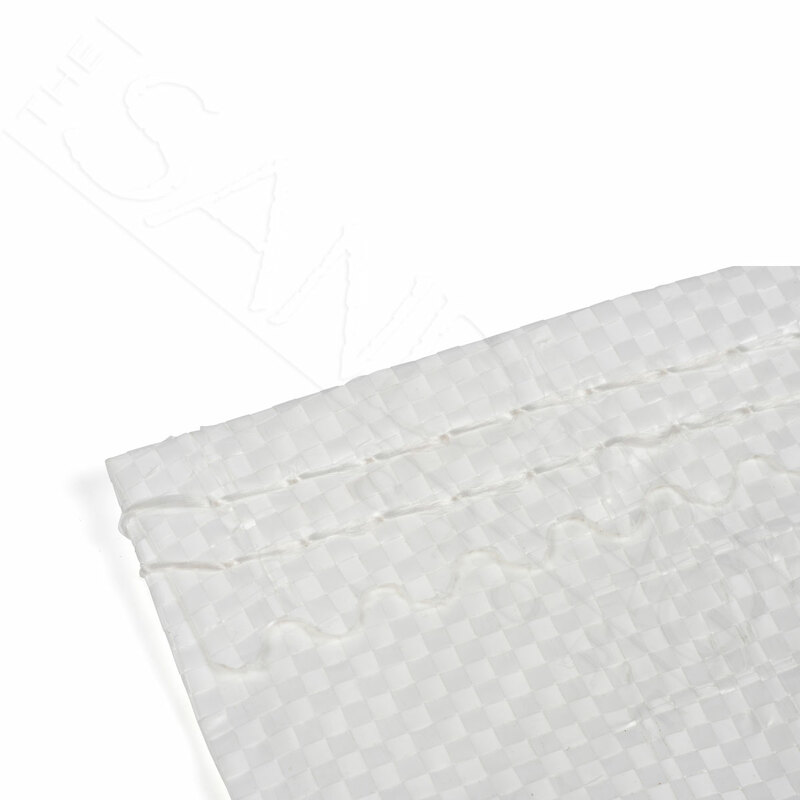 When you select the above Filled Option, your HD Poly Sandbags will arrive stacked and shrink-wrapped on a pallet and ready for use. 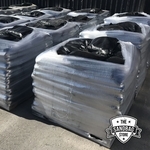 Each sandbag is filled with 30-40lbs of clean Class A fill material and sewn closed with 100 sandbags per pallet for a total unit weight of 3,000lbs or 4,000 lbs. Liftgate delivery is also available for customers who require residential delivery or do not have a forklift. Note: Liftgate & Residential delivery will require customer to sign our Pallet Delivery Agreement prior to order shipment. Truckloads! 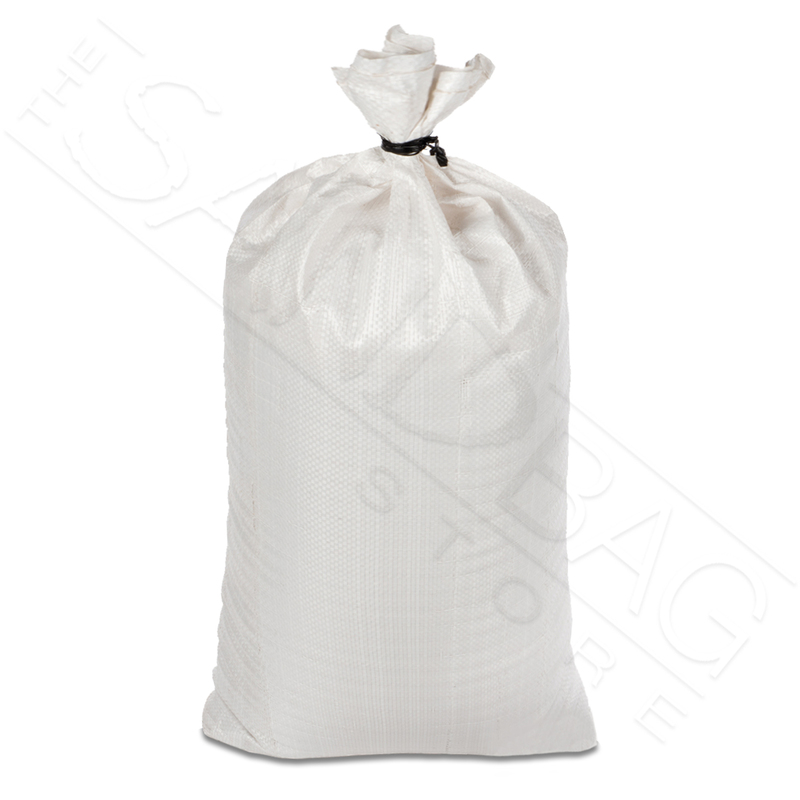 Buy your prefilled sandbags by the truckload for even further savings! 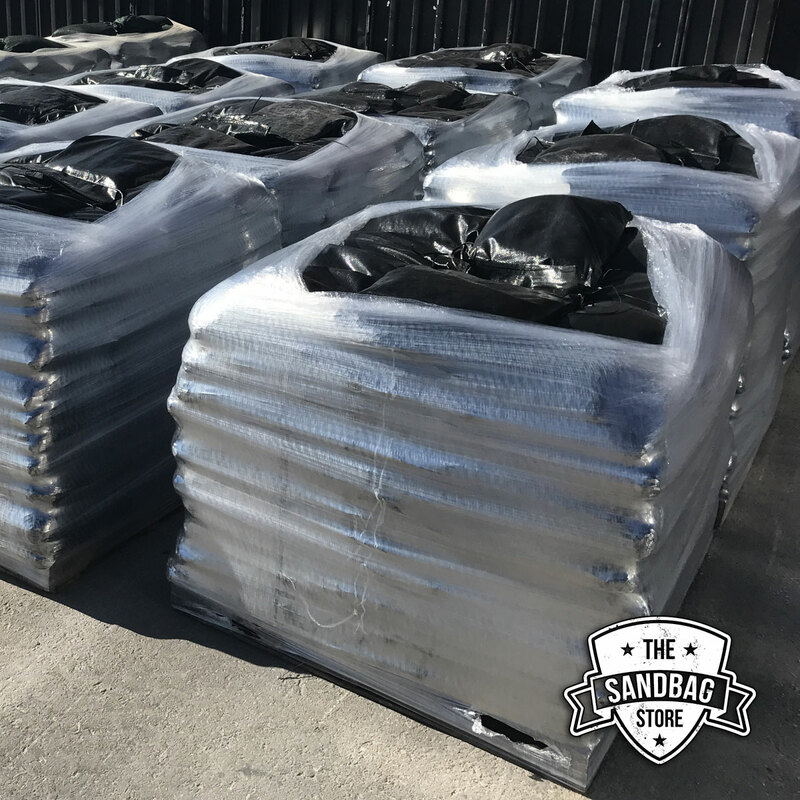 For orders of 1,000+ pre-filled HD Poly Sandbags, please give The Sandbag Store® a call or complete our quick form below for a convenient truckload pricing quote. 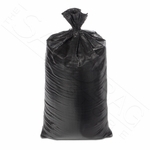 We import this product to bring it to you at such great value – for 100% USA-made HD Poly Sandbags, just give us a call today for a quote and lead time. We’re working diligently to have these great bags made exclusive in the US and hope to achieve this by the end of 2018. 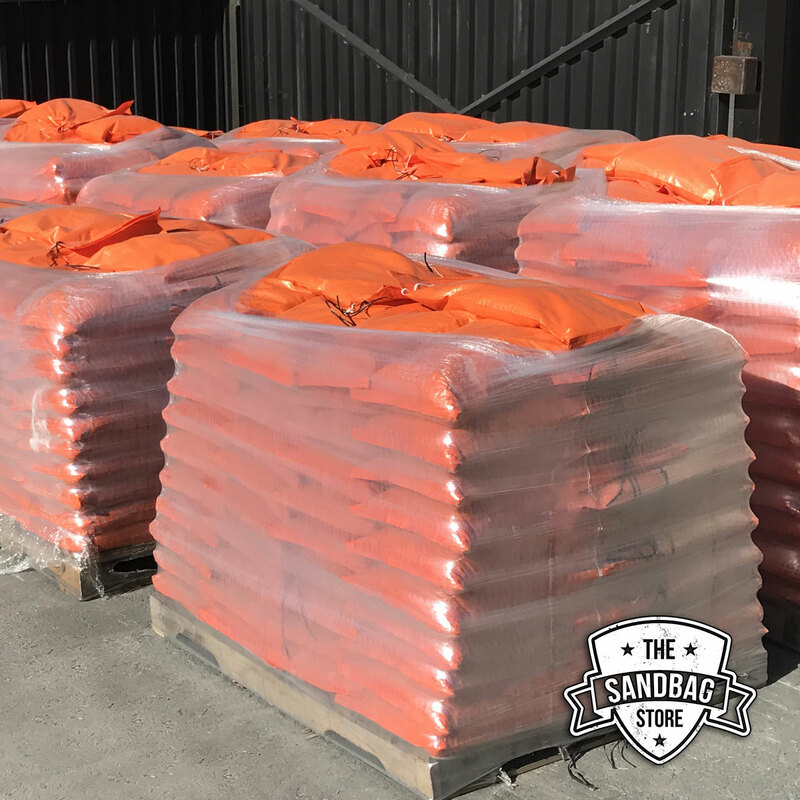 As with every product at The Sandbag Store®, we pay all shipping to the Lower 48 States! Love this company, love these bags! This may not seem like a glamour project, but when you need them, nothing is more important. This company and the quality and long-life of the product exceeded anything we had ever experienced. I may seem too enthusiastic, but when you have an emergency cliff erosion problem, this means a lot. The quick delivery kept us safe. Merchant Response:Wow, thanks for the kind words. This was a great review to start our week with. So glad we can be a lasting partner in your erosion efforts Gerard. The arrived on time and in accordance with the purchase information. The bag material is better than previous Sand bags that I have used. The bags are set to go- Have not had to use them, as yet, this Hurricane season. THANKFULLY!!! ProsThe ties work well- filled 34 bags- not one broke. Not worried about the bag breaking open if dropped. ConsIf the opening at the top of the bag was bigger, they would be easier to fill. Purchased the 100 pack and can say without a doubt These are the best sandbags we have ever used, very strong and the dark green color looked great. 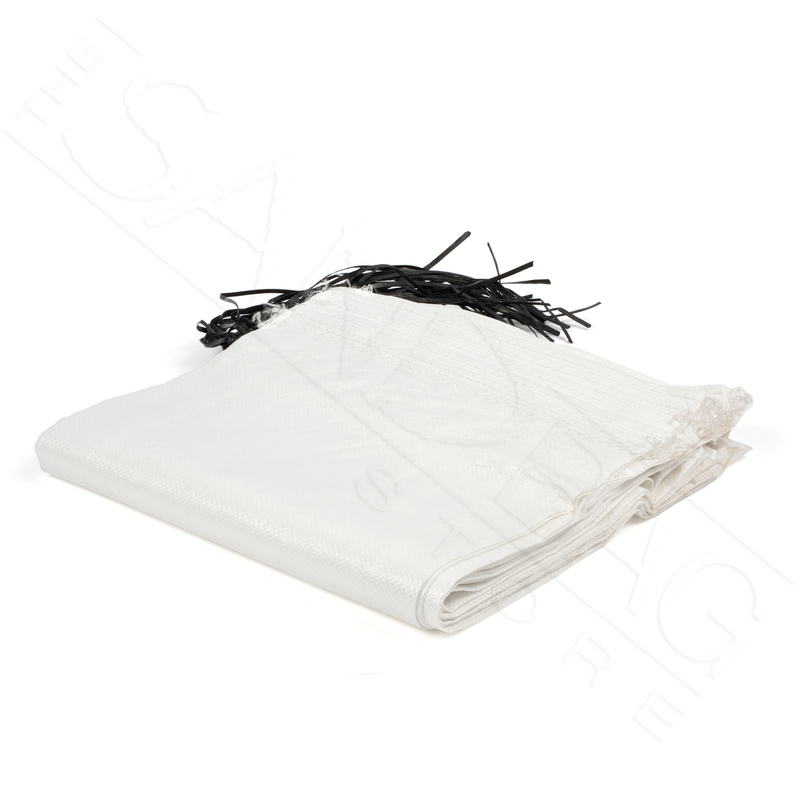 Our neighbors came right over and said so, the old white bags always stood out to brightly. We were feed up with the junk bags at the local stores so we searched online and found these made in US by Vets. Thanks for making a sturdy product!!! Love the bags. Nice and sturdy. Well constructed. Can't beat free shipping either. 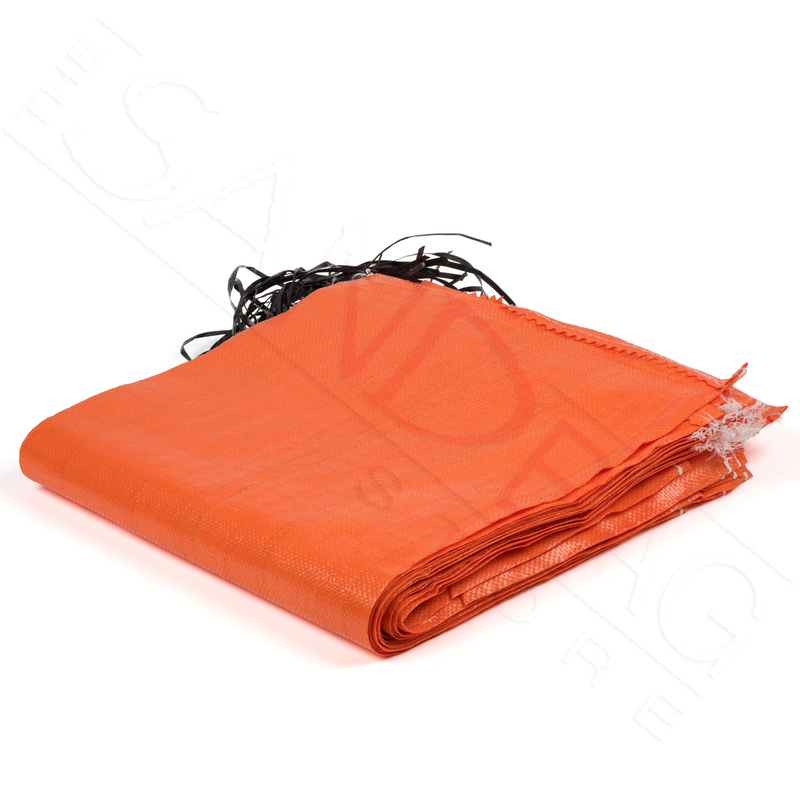 We use these on the farm to hold down ag fabric in the cooler seasons. The last sandbags we got from the local hardware retailer said they were uv treated, but broke down in a matter of months. So we just put them right inside of these and they just are so much better. They are even thicker than the landscape fabric we use in our walkways and paths between rows and that stuff is a 5 year fabric. I have a feeling these sandbags should last more than two years. 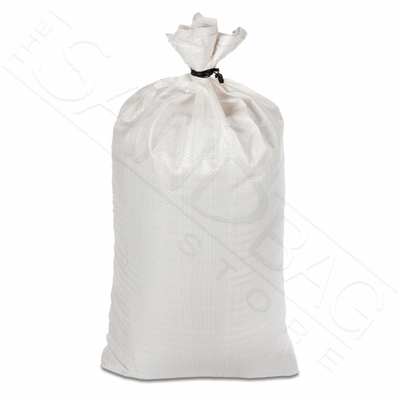 Good quality sandbags. Delivered promptly. All worked as it should. Thank you. Shortly after pressing the submit button I realized I had not chosen the right color. So I called and they were able to correct the order. I live in Florida and wanted these on hand for hurricane season. We filled a dozen or so and they are strong. Great price for 100. My second purchase and very pleased! ProsLonger lasting at competitive price! A stack-up of these heavy duty bags with tie closure was a perfect solution for stopping erosion of my lakeshore bluff caused by a rising lake water level and periodic high waves. Thank you. As a traffic control company we look for products and suppliers we can trust. 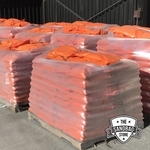 Customer service was great, shipment was fast and the sand bags were heavy duty. I would recommend this company as a premier supplier. ProsHeavy duty quality, multiple uses. Long lasting.